Definetely, if I'd time I would perpare all my photos for item listings on etsy like that one. 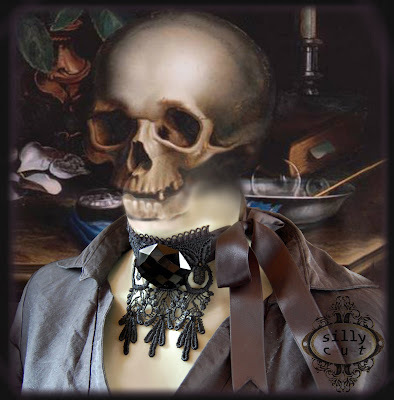 I combined an old vanitas paiting with the photo of my item on the mannequin. this turned out so cool, I just had to share this. Tell me, does this attract more viewers? anyway its so much fun to do this - there will be more. Definitely an eye catcher Sillycut! i like it, because it makes the eye look twice.